Jon was 90 at the time of that interview and still sharp as a tack, witty, and — musical! He sang to me (and my listeners) from memory the first chorus of John Coltrane’s improvised solo on the Miles Davis Quintet’s recording of “’round Midnight.” Whew! Chills up my spine. Jon is perhaps best known as one of the originators of vocalese—writing and performing lyrics to recorded improvisations. As Jon told me, it was Eddie Jefferson who first developed vocalese, which was then practiced by King Pleasure. But it was certainly Hendricks who was its primary, most famous, and enduring practitioner. I learned from Jon that he read no music. (As a kid, his teacher was the legendary Art Tatum, who was blind. “He was blind, and I was dumb!” was Jon’s joke.) So, rather than notating the improvised solos he was writing lyrics to, he laboriously played and replayed every little section, virtually memorizing it. One has to marvel at the dedication he brought to his chosen craft. 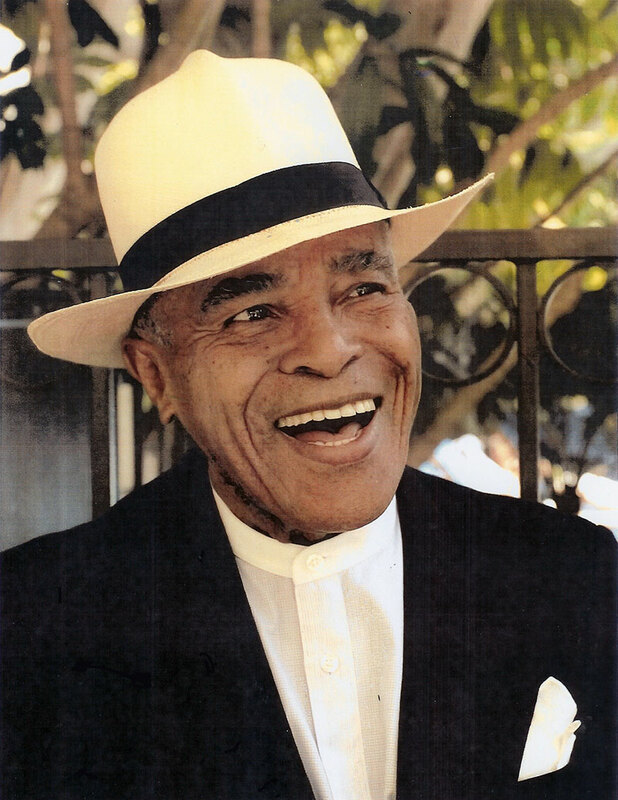 Jon Hendricks died quietly in a Manhattan hospital on Wednesday, November 22nd, family by his side. And the jazz world now mourns the loss of another of its giants. Lambert Hendricks and Ross came on the jazz scene in 1957 with the hit album Sing a Song of Basie. In 1960, the group hit again with the album The Hottest New Group in Jazz. Their 1961 album High Flying won a Grammy Award for best performance by a vocal group. At a time when rock ’n’ roll was taking over the music scene, Lambert Hendricks and Ross had folks listening to jazz. At the time of my interview with Jon, he told me that, even at 90 years old, he was planning to form a new edition of Lambert Hendricks and Ross, which he would call LHR Redux. If only it had happened.